Award season is underway and business is a boomin’ for American Hustle. David O. Russell’s con flick is probably the most fun you’ll have while completing your Oscar checklist this Oscar season. (Review here.) Thanks to its stylish escapism and excellent all-star cast (including a scene-stealing Jennifer Lawrence, who made Cinemablographer’s list of the best performances of 2013), American Hustle is a front-runner going in to this week’s Golden Globe awards and next week’s Academy Award nominations. If you still need to check American Hustle off your Oscar checklist, you are in luck! Check below to enter to win Run of Engagement passes to see American Hustle in theatres! Synopsis: A fictional film set in the seductive world of one of the most stunning scandals to rock our nation, American Hustle tells the story of brilliant con man Irving Rosenfeld (Christian Bale), who along with his equally cunning British partner and lover Sydney Prosser (Amy Adams) is forced to work for a wild unhinged FBI agent Richie DiMaso (Bradley Cooper). DiMaso pushes them into a world of Jersey power brokers and mafia that's as dangerous as it is enchanting. Carmen Polito (Jeremy Renner), the passionate, volatile, New Jersey political operator caught between the con-artists and Feds. Irving's unpredictable wife Rosalyn (Jennifer Lawrence) could be the one to pull the thread that brings the entire world crashing down. David O. Russell’s Silver Linings Playbook scored the rare feat of earning Academy Award nominations in all four acting categories. What was the last film to receive Oscar nominations in all four acting categories before Silver Linings Playbook? Contest closes Friday, January 10th at noon. 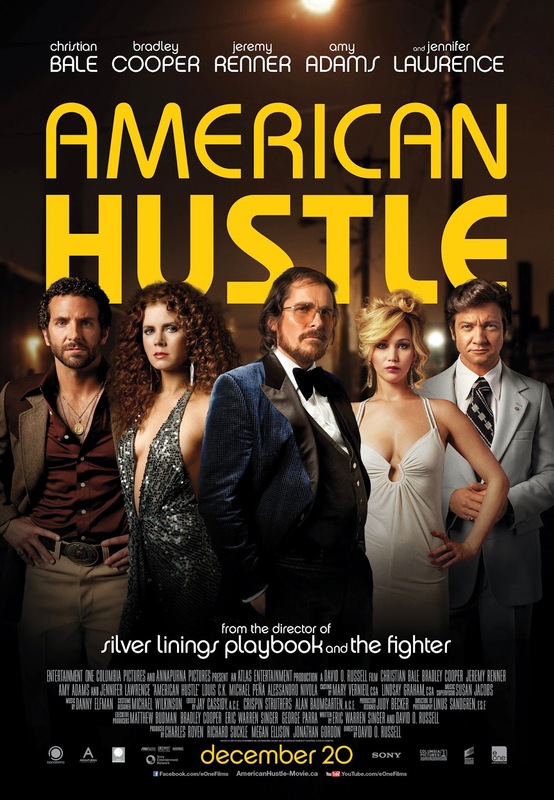 American Hustle is now playing in theatres from eOne Films. *ROE passes are valid at Monday-Thursday (excluding holidays) at participating Cineplex Entertainment LP Theatres.